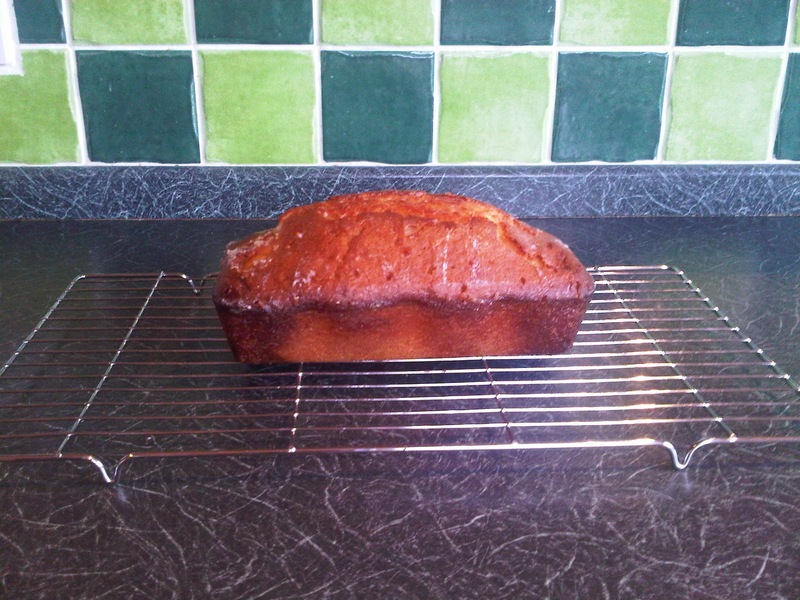 Yes, I know it seems like I always make Lemon Drizzle Cake, but this time I tried a new recipe. 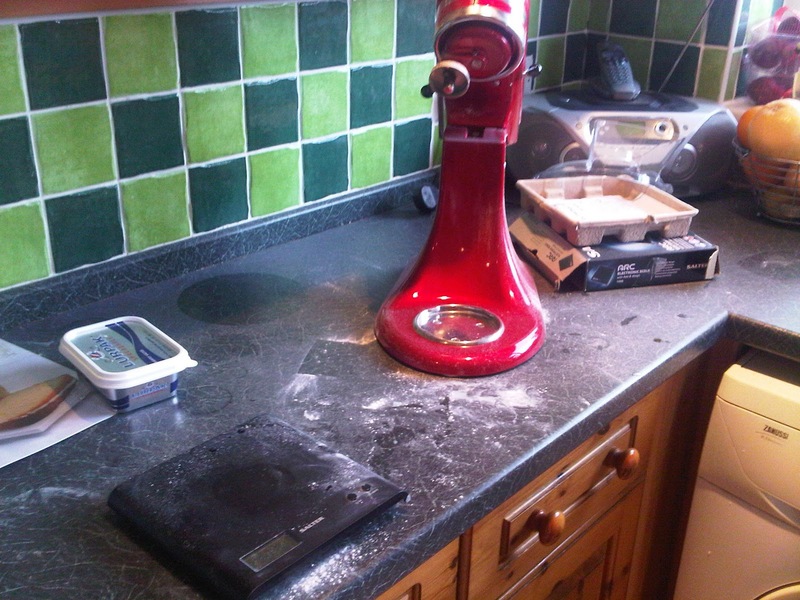 I've followed the recipe in the Great British Book of Baking a few times now and, although the cake is amazing, I'm still hugely unhappy with the baking time and how it mainly comes out burnt. 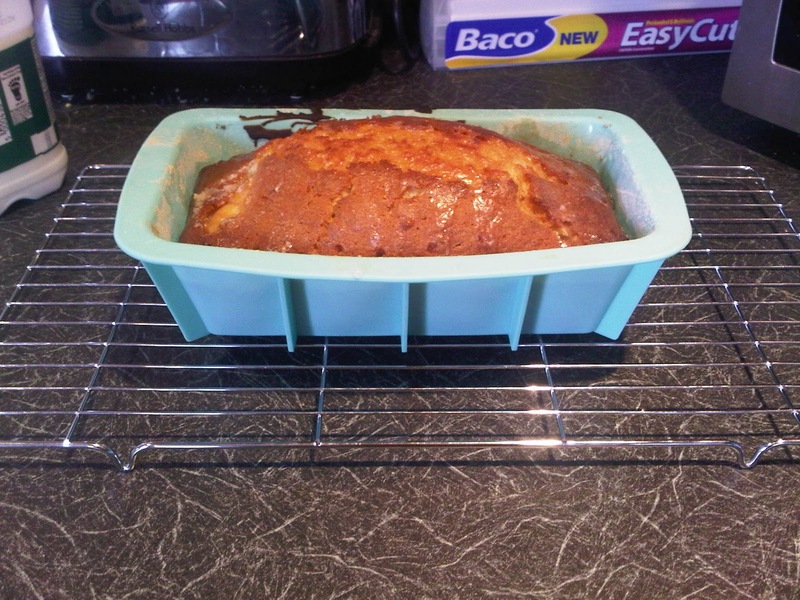 But, then came along 'Baked and Delicious', a baking magazine -which is very expensive- with free silicon bakeware and this week happened to have a Lemon Drizzle Cake recipe in it. So I rang my Nana and Grandfather, as I do every week and asked them if they'd like to try it. The recipe was relatively easy and it was pretty much the same as the old recipe but I hoped that the silicon loaf tin would stop it burning or at least stop it burning so much. I was wrong, almost, it still took an hour to bake and it still had browned edges despite the fact I had covered it in tin foil half way through- see above photograph! I still stand by the fact that every tin should be lined with baking paper, maybe I should take my own advice next time! I was also really disappointed with how small it was! I felt they weren't going to provide sufficient slices but apparently it was brilliant, I must just be greedy! When the cupcakes came out, they had all kind of peaked and I figured that the buttercream recipe adjoining the cupcake one that I had made was not going to cover all 12 cakes. 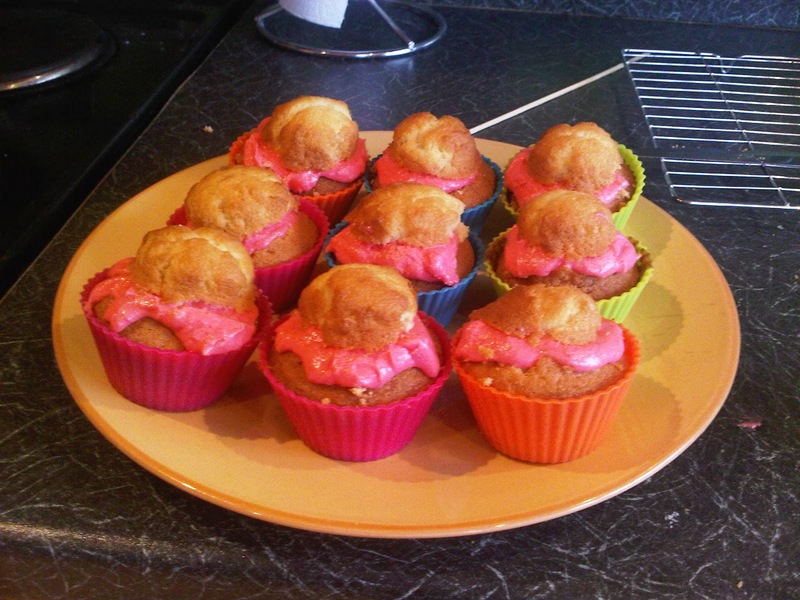 So, I decided to make butterfly cakes but then thought it might look quite quirky if I just put the lids back on. I actually thought these looked really cool! 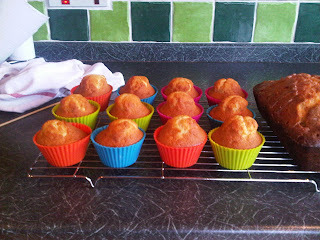 Definitely going to adapt these to my Strawberry Yoghurt cupcakes, maybe in my next installment? And, I figured that I could eat these tomorrow and it wouldn't affect my Zumba hot body! Lemon Drizzle Cake- Take 2! a selection of food colouring- be creative! -Once cool, decorate your cupcakes as you please!